Harald Krueger: "We are large enough that we can fund our future investment needs on our own." 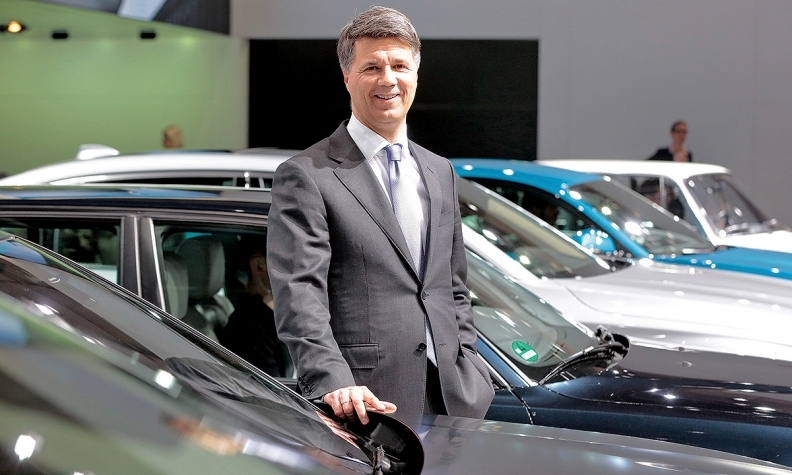 GENEVA -- BMW CEO Harald Krueger said the big investments needed for next-generation drivetrains and digital business models were likely to spur further consolidation in the wake of PSA Group's purchase of Opel from General Motors. "The investments that are needed and whether every company has the resources ... remains to be seen," Krueger told journalists at the Geneva auto show. "For everybody the challenge is huge, with the focus on electro-mobility, digitalization and autonomous driving," he said. "We are large enough that we can fund our future investment needs on our own," Krueger said, adding smaller companies may need to find new partners, a step that could lead to more deals. But takeovers and mergers are difficult to pull off, he said. "The backbone of a successful cooperation is creating a real win-win for both companies. It needs to happen within a reasonable time frame. It will not work when one party profits from the deal after two years, and the other only after eight years." BMW's engineers in Munich are working on a new electric Mini which could be built in Germany, the Netherlands or the United Kingdom in the wake of Britain's exit from the European Union, Krueger said. "It can be produced in several locations because of the vehicle architecture," Krueger said at a roundtable discussion at the Geneva show. BMW is looking at Oxford in England, Born, the Netherlands and Leipzig and Regensburg in Germany as potential production locations, he said, adding a decision would be taken this year.